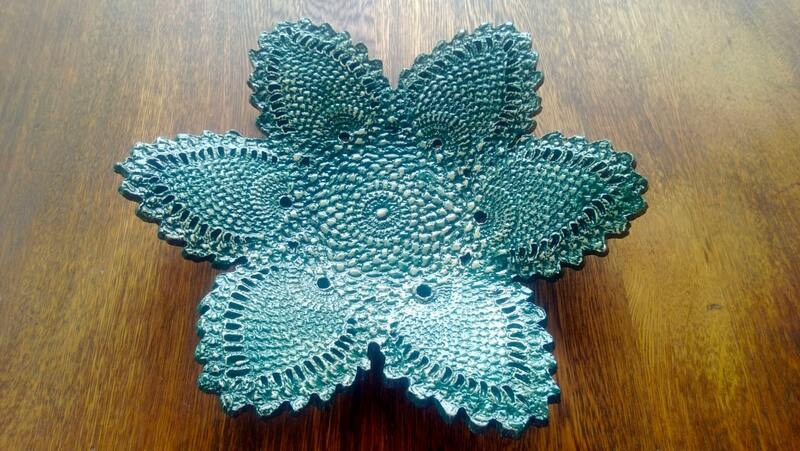 Outstanding Crochet: Kelly Tuttle' s handmade ceramic dishes. 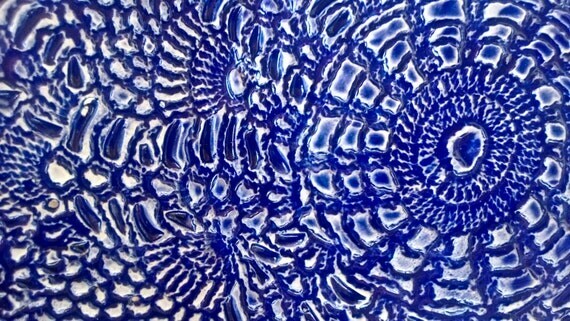 Kelly Tuttle' s handmade ceramic dishes. 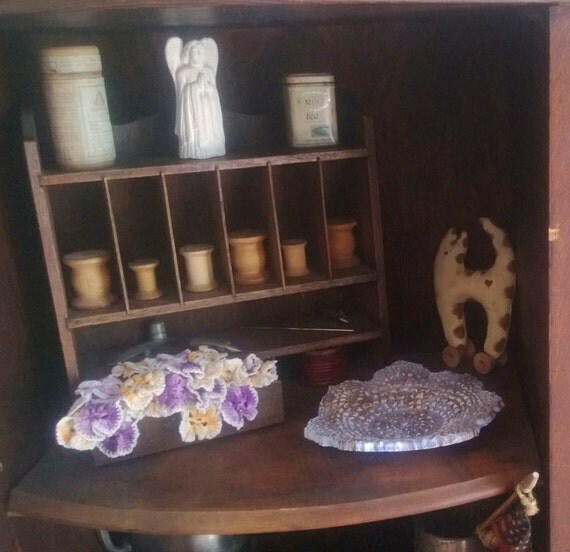 I found this lovely handmade ceramic dishes shop on Etsy and want to introduse Kelly Tuttle, the owner and an artist, who I had an opportunity to talk to. Her work is inspired very closely by crocheted lace doilies handed down through her family. I think it's a wonderful decorating idea. Bravo, Kelly! Gosh! I didn't give the link did I? Stupid me. How wonderful to think of your mother as a crane operator, in such a male-dominated business, but sitting up there doing her crochet! 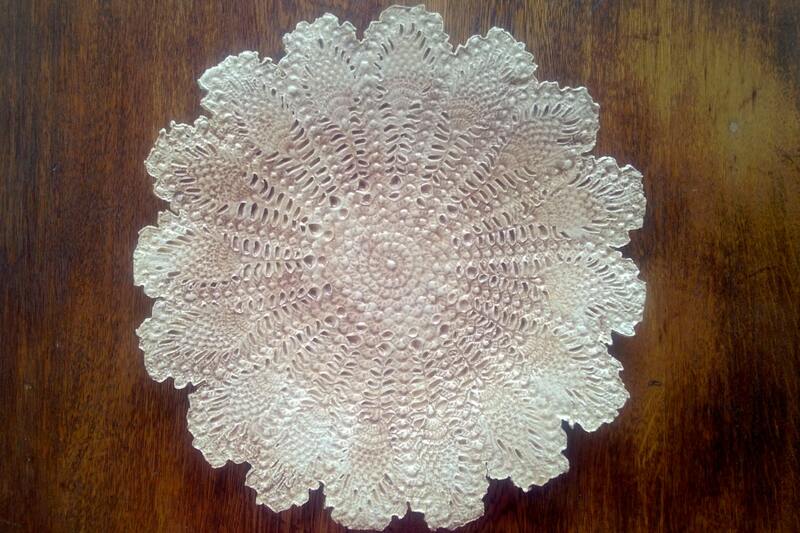 I have some doilies made by my mum that are very similar to the one you have, edged with flowers. My mum taught me to crochet but I've only recently taken it up again, and just completed my first lap blanket. Your work is absolutely beautiful and very inspirational. Parabéns pelo tema da postagem Natalia. Aprendi crochê com minha avó, retomei a paixão pelo crochê quando me aposentei. Adoro olhar seu blog, ele me inspira em meus trablhos. Thank you! I am glad you like it here.